Last winter I had matte phase for a brief spell. The reason? Trying out this palette. 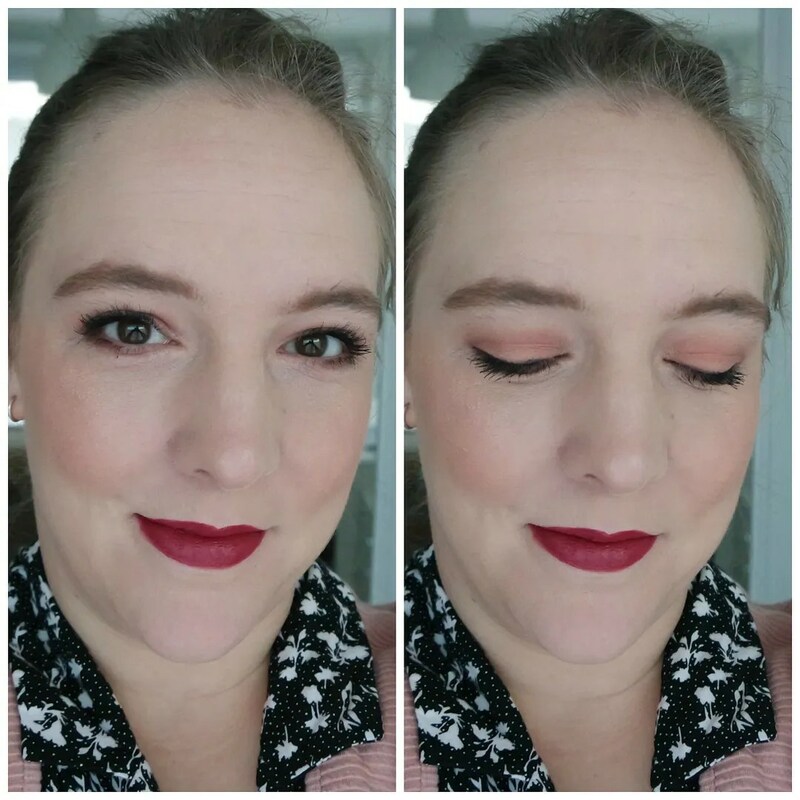 I already featured it in one of my Shop my Stash posts and I had already been using it for a few weeks before I started doing the looks for this review. Matte eyeshadow is not exactly my forte and I wanted to make sure I gave this palette a fair shot. Because mostly, matte palettes aren’t my favorite as I feel they are quite boring (don’t shoot me). Does this palette proof me wrong? I bought this eyeshadow palette from Sephora. Even though Too Faced is now available from Douglas (finally!) over here, they don’t carry this palette yet. It is part of the Peaches & Cream collection and at first I feared this might be limited edition. It is not and for $45 this palette can be yours. The packaging isn’t that great on the outside I have to say. But this palette has one big plus: it has a very easy to handle size. That was one of the reasons why this palette was placed high on the wishlist. This is a very handy palette and while the pink and gold isn’t necessarily my cup of tea, I like how you get a big mirror and 12 neatly arranged shades. There are a couple of packaging details that we need to discuss. The closure is embellished with these two mini peaches. I quite like that detail. 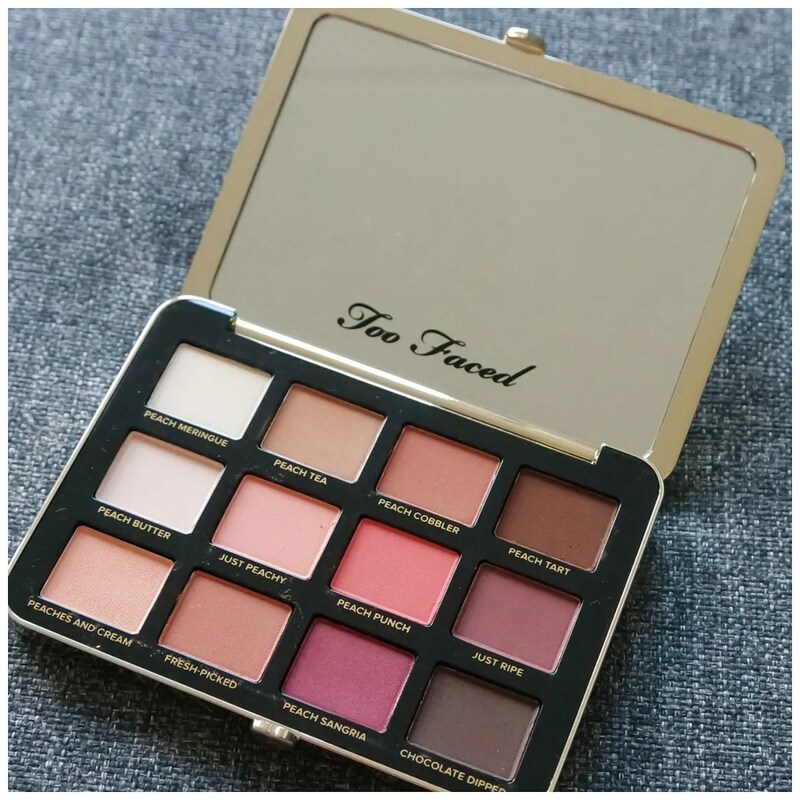 As many Too Faced products, this eyeshadow palette is scented. This time with a peach and fig scent. 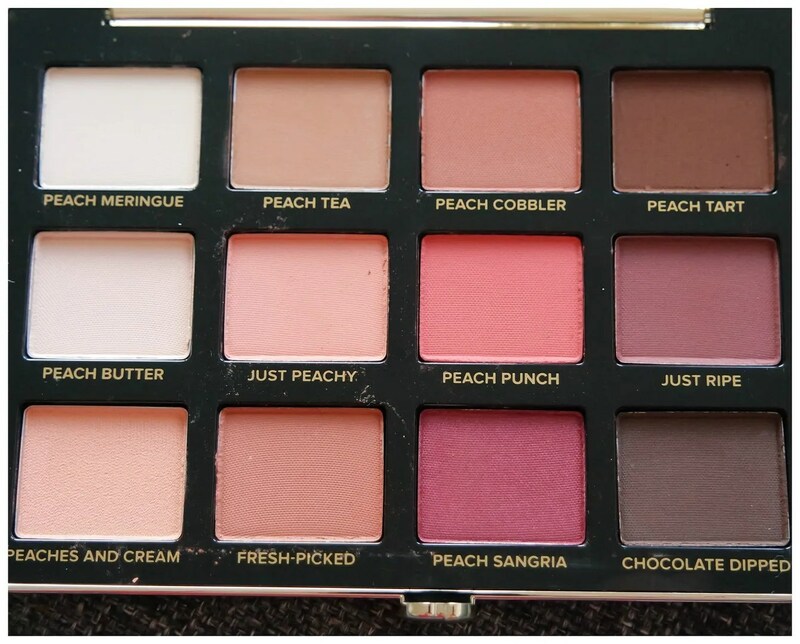 It is less artificial than the Sweet Peach palette: it smells fresher and is less overpowering. But still, it smells. In total, this palette contains 12 eyeshadows. They are all matte as the name suggests. What drew me in was the range of shades in the palette. Most palettes do not go beyond a neutral brow and as you can see here, there are very few browns in this palette. That is why I hoped this would entice me to use more matte shadows. In terms of range, this is my kind of palette: it has some good light shades, at least 3 good transition and blend shades as well as a couple of good lid shades, dark shades and a few pops of color. It is just a well-balanced palette to me. As you can see the pigmentation of these eyeshadows is a great. 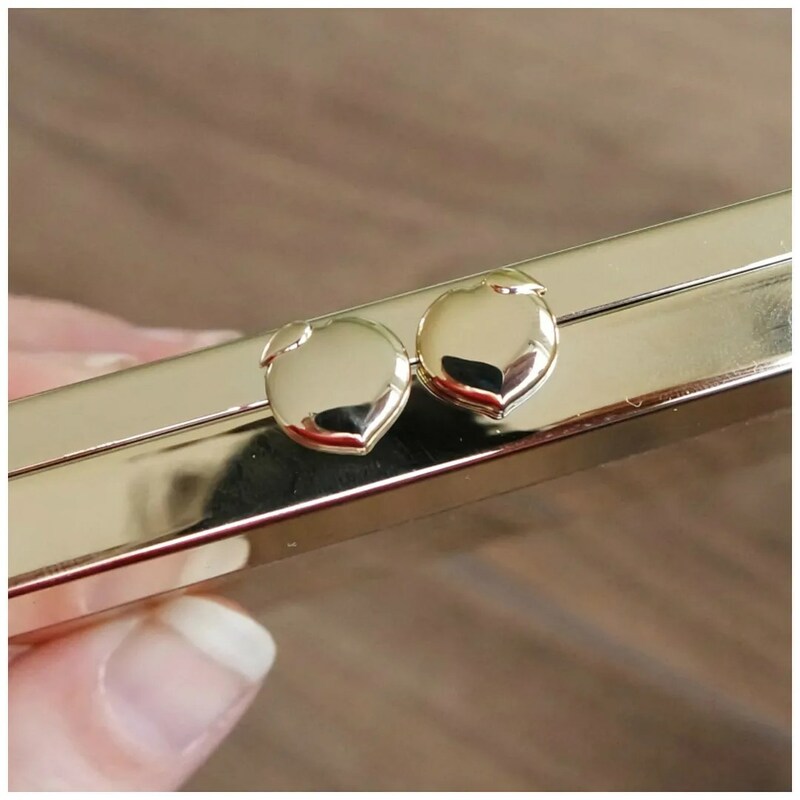 For a matte, these are extremely smooth and glide on without any effort. The brighter pops of color are a bit less vibrant than I had hoped, but if these build up well, they can still pop. Stand out shades for me are Peach Tart and Chocolate Dipped. I also like the plum toned Just Ripe. For someone who is not usually a fan of dark shades, these look very promising. For this first look, I decided to go quite neutral. Nothing too crazy. 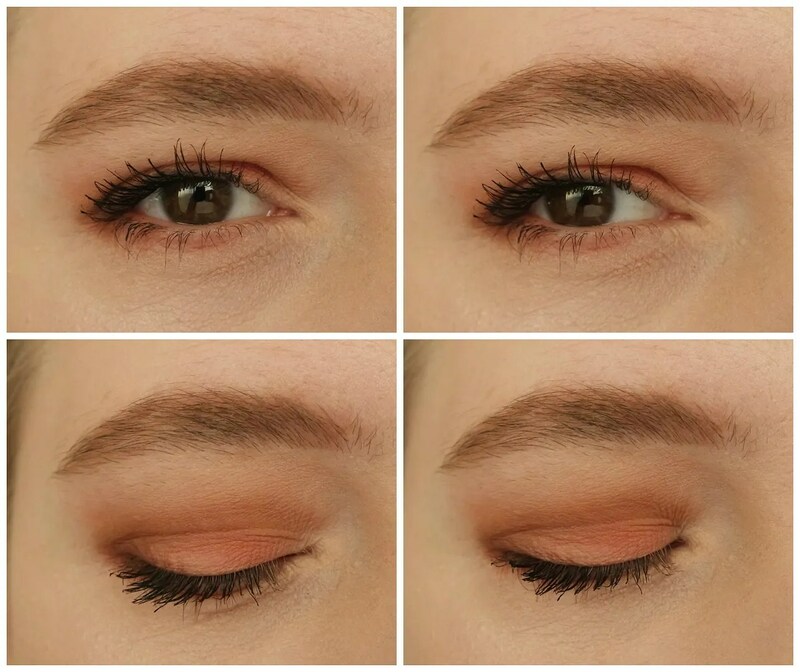 The result is a pretty warm toned look. Where I am usually worried about matte looks looking too bland as it lacks shimmer, I find it easy to build up enough contrast between the shades to create a good look. A promising start! Of course I had to work in those plum shades into a look. 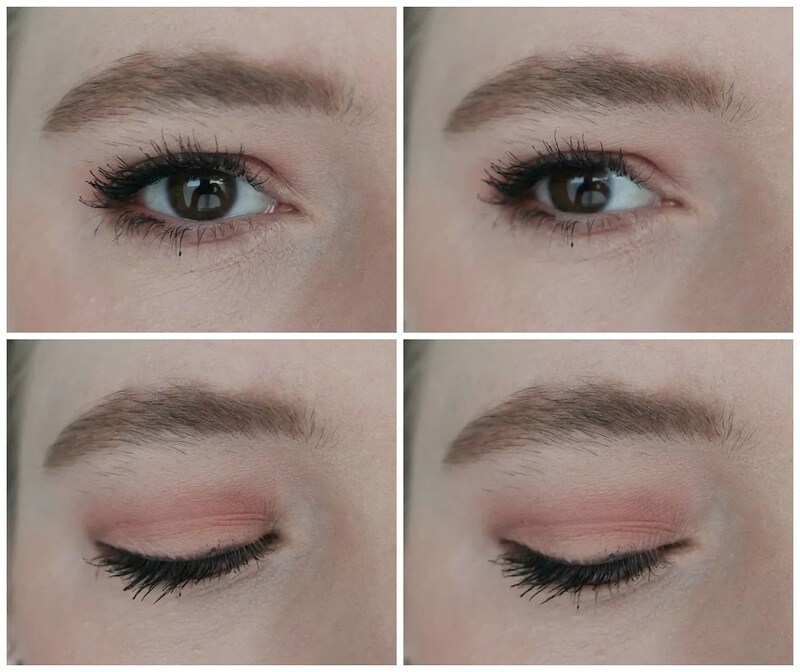 Again a great look, but Peach Sangria is a touch patchy and difficult to blend. With a bit of patience you can still make it work, but it is not the stand out shade I had hoped it to be. Another thing I noticed when I created this is how some of the peach shades in the palette blend together easily. I initially wanted to put two shades side by side, but they just blended into one shade, so I decided to make Peach Punch a bit more intense instead. What this palette also lends itself for is a very basic, everyday neutral look. This is very easy to do and it is pretty much fool proof. I found Peach Butter to be that perfect shade that just works on my skin tone. Just Peachy is nice, but very close to my skin tone, which makes it look a tad bland. 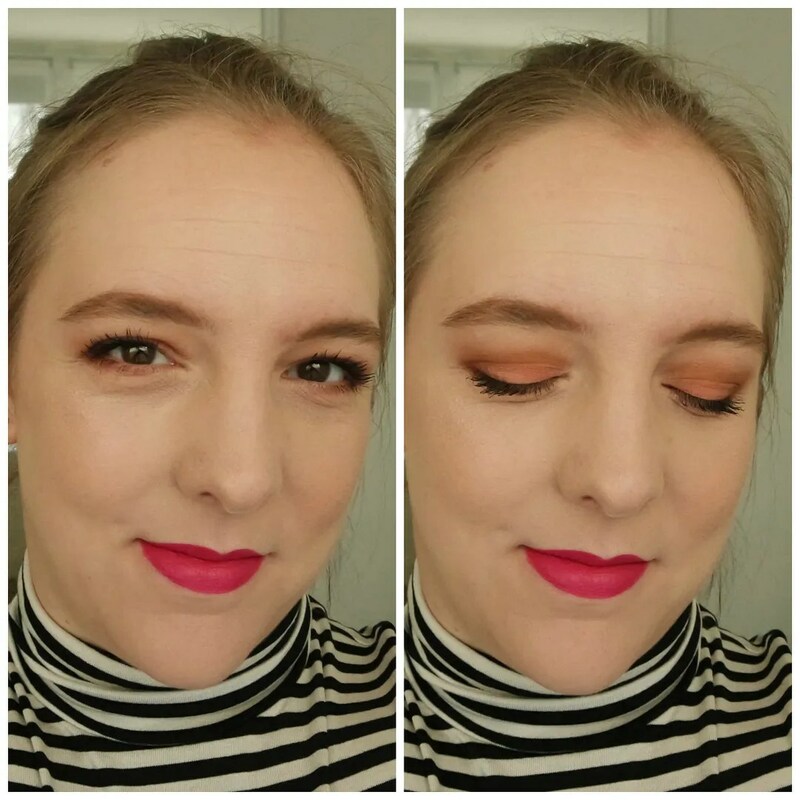 This is the kind of look I had expected this palette to be able to do, the first two were more surprising. Can you tell that this palette positively surprised me? 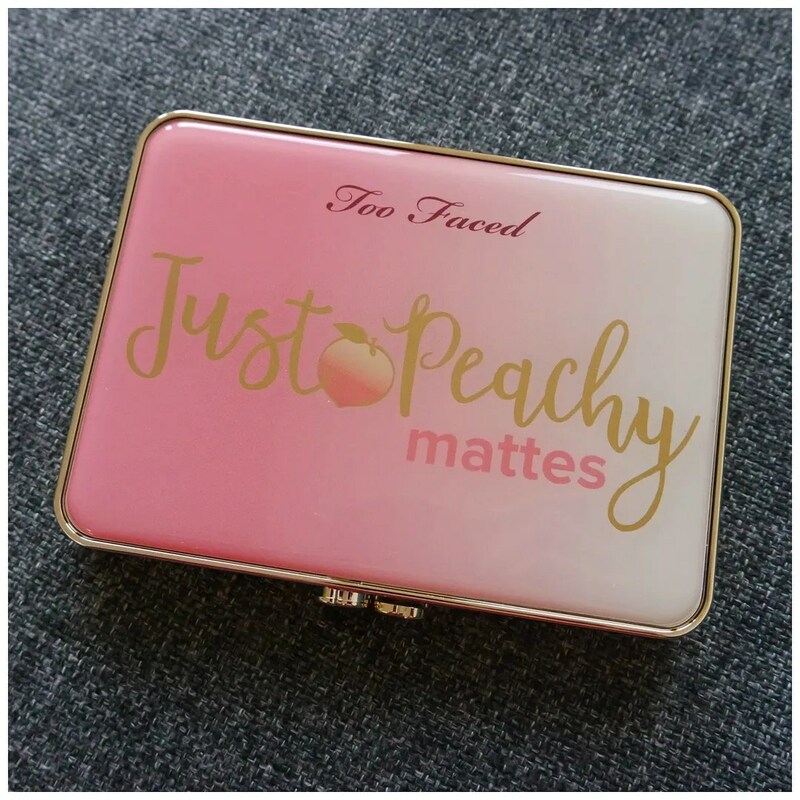 I expected the Too Faced Just Peachy Mattes palette to be bland and boring. But this palette has everything I want and more to create some looks. 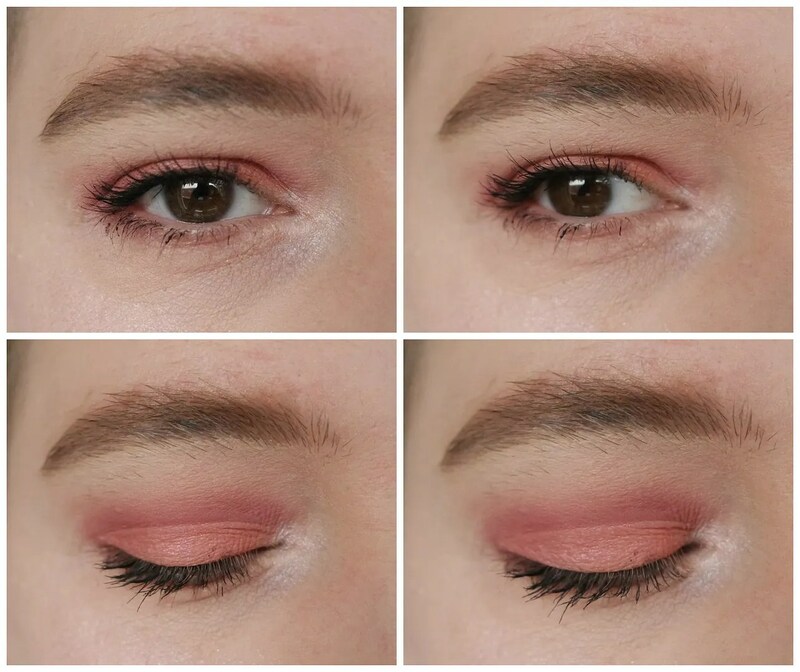 It has enough shade variety to churn out several different looks and enough lights and darks to take your look from basic neutral to dark and smokey. In short, this is a good all rounder that has definitely convinced this lover of shimmer that a matte palette is a good thing to have. Thank you! I love doing eyeshadow most of all my makeup. So I like practicing and figuring out what looks nice on me. This may be quite similar to Sweet Peach. 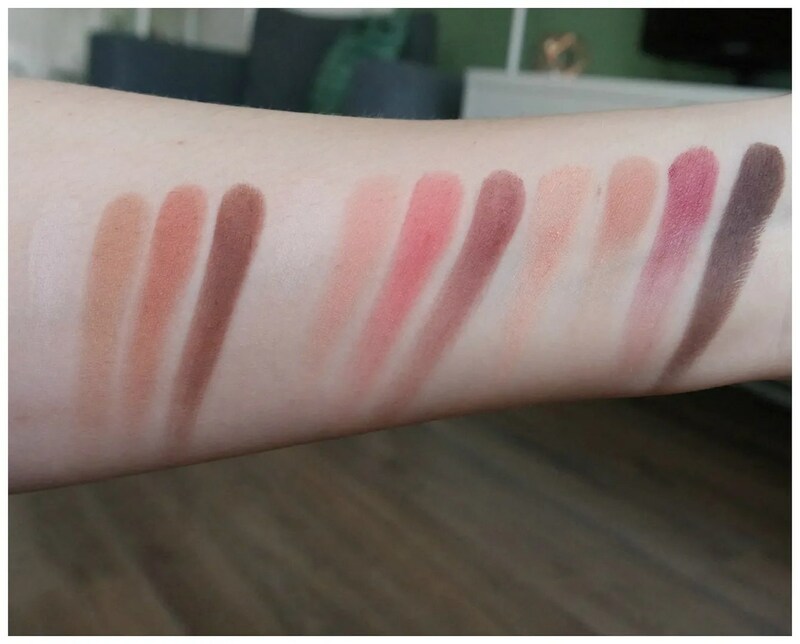 I would definitely compare a few shades in the store as I have heard there is quite some overlap. I personally don’t mind, but if you want to keep your collection minimal than it may be worth checking first. I know! Such a shame it’s not yet available from Douglas. Great review! I love the look of this eyeshadow palette 😍 I may need to purchase! It really surprised me with how much I like it. I hardly ever like mattes. 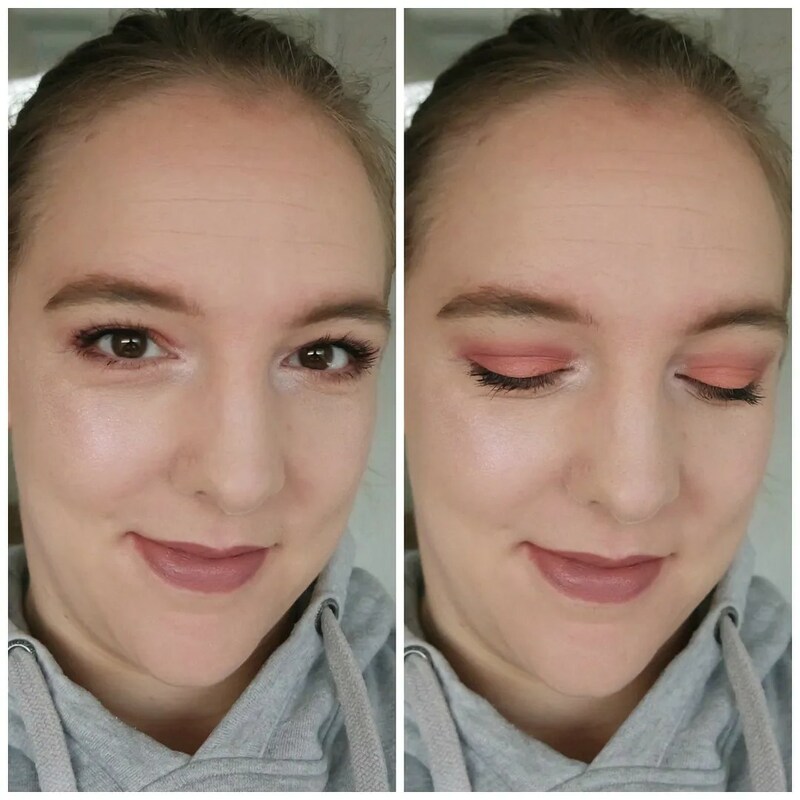 Peachy is my go to, love these looks! Random thought, maybe the founders were influenced by childhood favorite Starwberry Shortcake? They seem like they could be roughly the right age for that phenomenon when every product created in the toyline was scented to match it’s namesake. Thanks! Yeah I was very surprised myself. I am usually not a matte girl (I lurv shimmer) but this finally hit that sweet spot.